I thought I'd share another tomato recipe today. I've used heirloom tomatoes but feel free to substitute cherry or sungold tomatoes instead. This salad came together because of two leftover ears of corn. The night before I boiled them before rubbing with butter, sprinkling with smoked paprika and a squeeze of lime. I didn't think the corn could taste much better until I whipped up this salad the next day. I cut the kernels from the cob, mixing them with heirloom tomatoes, avocado, cucumber, basil and a simple lemon vinaigrette. 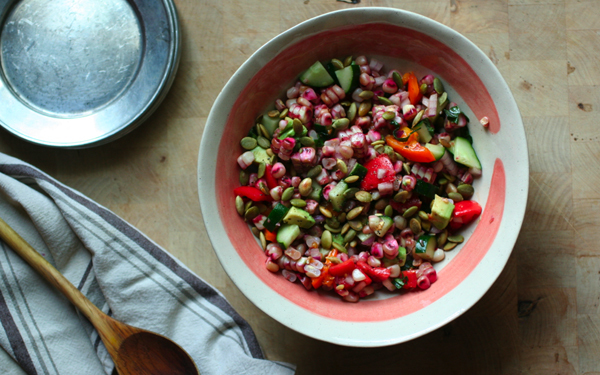 This salad is perfect eaten as is or added to your veggie tacos like salsa. Boil the 2 ears of corn in a pot of water until tender. Slice kernels off the cob into a large bowl (omit this step if you're corn is already cooked). Stir in the tomatoes, cucumber, avocado, and basil. Mix the lemon and lime juice into a smaller bowl. Add the chili flakes, salt, pepper, and olive oil. 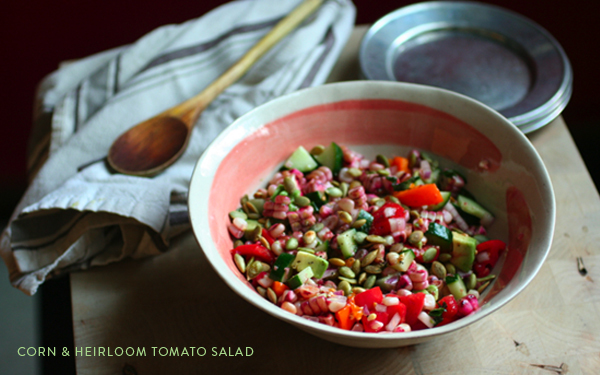 Stir well and drizzle over the corn and tomato salad. Sprinkle with pumpkin seeds and serve. Thanks again for your participation in Tomato Tuesday. 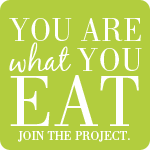 Hopefully you signed this petition and are spreading the word about buying slave-free tomatoes from the right sources (Whole Foods, Trader Joe's, farmer's markets, CSAs). Happy Friday friends! I did a double take because I've never seen corn that color for eating. Very cool. The salad looks delicious. Gorgeous! Your pictures are killer in this post, Adrienne! 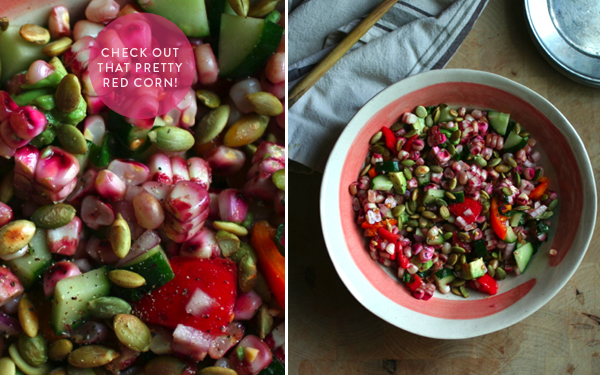 Ooh la la - that red corn - this looks is so rad! And, I really dig your silver plates! I love throwing together salads like this in the summer. Easy and perfect, yum. Also I'm definitely trying your smoked paprika and lime technique the next time we steam up some cobs. Serious red corn envy happening over here too! Corn and tomato is such a great combination--but I don't think I've ever seen fresh red corn! Looks amazing! I had to read the interment list twice coz I thought you missed adding beets in. But then I realized that the corn really was red and it wasn't because of any beets. How gorgeous!